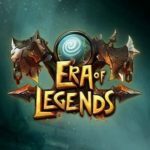 Era of Legends is an exciting MMORPG developed by 101XP Limited. The game features a massive open world map, an enticing story, 8 different classes to choose from, and a lot of collectible cosmetics ranging from mounts, to skins, to consumables. In Era of Legends your objective is to save the realm of Eminoor from the forces of evil who are trying to free a dragon god. There is also a fully-fledged guild system, to make sure you always have people to clear dungeons with. The map is huge, and there’s plenty of things to do at any point of the game, the dungeon system is well designed, and the matchmaking for it is quick and balanced. If you are just starting out in this massive world and are in need of assistance to navigate through all the stuff to do, you have come to the right place. Check out our Era of Legends beginner’s guide for tips, cheats and strategies to defeat your enemies! 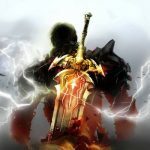 In Era of Legends there are 8 classes you can choose from: Warrior, Assassin, Priest, Witch, Druid, Archer, Mage, Shaman. Each one of these is specialized in filling a specific role, and each one of them is better at fighting in a specific position. Warriors are melee fighters that can both deal good damage and survive for a long time, they are a very solid choice if you are just starting out, Assassins are nimbler and frailer than Warriors, but they do deal a lot of damage, and their skills allow them to dodge enemy hits and promote a stealth gameplay. Priests have access to heals and buffs for their allies, they also deal respectable Area of Effect damage. Witches have access to various spells that allow them to summon demons to their aid, and curse enemies. Druids can shapeshift into bears, and have very high defense and health, making them great front liners to defend your backlines, the real damage dealers. Archers are mobile and very deadly from a distance, but they will die very quickly if an enemy gets close to them. Mages are glass cannons who deal massive area of effect damage, but like archers are very frail and can’t fight in close combat. Shamans can both heal allies and deal damage to enemies, they can also summon elemental creatures to assist them in battle, with all these different things to do, they are pretty hard to pilot, and they don’t really excel at any of these things, but in expert hands they can fill any role a team needs. What you want to do is stay on the front if you are a Warrior or a Druid, dance around your enemies if you are an Assassin and use your spells when they are ready, stay on the backline if you are an Archer, a Mage, or a Witch, and deal as much damage as you can, and somewhere in the middle if you are a Priest or a Shaman, since you might need to heal the backline in case the bigger monsters deal a devastating attack that deals damage in an area, and various healing skills effect all allies in an area. You need to be able to be in close range of all of your allies in case you need to quickly heal them after they took damage. Finding high level gear is the best way to improve your character once levelling up starts slowing down, and you can improve high level gear even further. At the beginning, the best way to obtain gear is simply by doing the main quest’s missions. You can get high level gear by clearing high level dungeons with a party of friends, or you can use the matchmaking feature of the game. You can quench items, which means you are going infuse one item’s stats into another item. This costs you a slot, some items have empty slots when you find them, which means you can upgrade them by quenching without losing anything other than the original item, but sometimes you will have to sacrifice a stats slot that’s already occupied to get better stats. Do not be afraid of selling or quenching unused items, as these pile up very quickly in your inventory. Additionally, you can also inlay gems in your equipment. Some pieces of equipment have empty slots that can be enhanced with the addition of a gem. 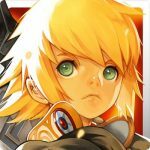 You can also enchant your equipment to further improve the stat boost you get from it, which requires enchanting dust and special jewels you can buy in the Auction House or find while fishing, doing fame quests, or a plethora of other activities, you can check how to find the specific jewel you are looking for by tapping on them, the game will reveal you the various ways to get them. There are multiple types of gems, each type boosts a specific stat. Some of them can be purchased in the store for Silver coins, while others can only be dropped by monsters. Fishing is another way of finding additional gems. You can also create your own gear thanks to your Life skills, which we will discuss further in the following tip. Lastly, there is a special place called the Auction House, which is where you can exchange the rare loot you find in high level dungeons with different high-level loot other players found in their adventures. You can also buy loot in the Auction House with Gold coins by visiting the Vendor tab, and selecting the category of item you are looking for. You can also buy materials for your Life skills, gems, and items other players have crafted. The skill system In Era of Legends might seem a bit complicated at first, but don’t worry, it’s actually very simple to use. First, to know what a spell does, you can either hold your finger on its respective icon, or you can check the Skill screen, whose icon is on the bottom right of the screen, this way you can also check the spell’s cooldown. In order to upgrade your spells, you need to reach a certain level, and then spend some Silver coins to upgrade them. You can also upgrade all of your spells at once if you can boost more than one of them with the Quick Upgrade button. When you reach level 20 you get access to inscriptions, which are massive upgrades to your spells, you can see what boost each inscription gives to your spells in the Skills menu, under the Inscriptions tab. Some skills have different effects depending on their target. For example, all of Priest’s spells heal or buff the target if it is an ally, and deal damage if it is an enemy. The first Secret Art is unlocked at level 23, the second one at level 30, and afterward you get one more every 5 levels. Secret Arts are very powerful spells with a 60 seconds cooldown, and you can only select up to two of them to bring into battle. Specialty is the last tab, in here you can check how you can combine your spells and talents to gain extra effects. Speaking of talents, these are unlocked at level 25 and they provide additional boosts to your character’s spells. There’s a lot to do to earn additional rewards in Era of Legends, other than just clearing the game’s quests. Clearing dungeons is by far the best way to obtain great gear, the best crafting materials, and a way to trade items you get through them in the Auction House. To join a Dungeon, simply tap on the Daily icon on the top right of the screen, and from them select Elite Dungeon. 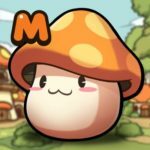 The difficulty of the dungeons increases exponentially, you can check what level you need to be at in order to join the various dungeons simply by tapping on them. On this screen, you can also check the kind of loot you can expect to find, and see a lit of people who are waiting for someone to join them in clearing the dungeon. The Auto fight feature does not work in the dungeons, you will have to play through them yourself. Aside from dungeons, you can send units under your command called Consorts to clear Forts, these missions are done automatically once you select who to send to do them, and they usually bear guaranteed rewards like Silver coins, plus a chance at getting an extra special reward. Different consorts have different chances of boosting your chances at getting the special reward. By doing story missions, you get special scrolls that unlock special puzzles or additional missions that when solved give you even more rewards. Certain missions give you Fame among the people you are helping by doing the mission, and there’s a store in the shop section where you can purchase additional Consorts. The dust you get from selling equipment can be used in the Dungeon store to buy equipment, the higher your character’s level, the higher level the gear you can buy. There’s plenty of rewards all over the place you get just by playing the game as well. The game runs events, which are usually special missions that are unlocked at specific times of the day, to check them, tap on the Daily icon, and check the Time Limited section, you will see a list of the events that run during the day, and at what time they are accessible. There is also a weekly calendar. The routine section has all the quests you can do a certain amount of times every day or week, there’s no specific timeframe to do them, the only limit here is the amount of time you can do them. You can learn extra skills in the game that allow you to craft items, these are: Alchemy, Tailoring, Leatherworking, and Blacksmithing. Each one of these lets you create items out of specific resources. Alchemy uses herbs to create consumables such as Elixirs and Potions, Tailoring involves collecting plants to create Gloves, Bags, and other items. Leatherworking gets its resource from skinning wild animals in order to create Helmets, Breastplates, and other items. Lastly, Blacksmithing requires you to collect Ore that can be used to build Weapons, Trinkets, Necklaces, Chest Keys, etcetera. To learn these skills, you have to go to Capital City and visiting the Master of each respective skill. The higher your level of proficiency in a skill, the higher the level of gear and potions you can create. To check out these skills, you need to tap on the “Life Skills” icon on the bottom right of the screen. To improve your proficiency in these skills, all you have to do is use them, the more you use them the better you will get at them. You will need two things to build items: their recipes, and the materials, the former can be purchased from the Master of their respective skill, while the latter can be collected in the world, although certain materials are purchasable from the grocery stores with Silver coins. You also need Stamina to use your Life Skills. The items you can build with your skills are not very good at the start, but they do get very powerful over time. This wraps up our Era of Legends beginner’s guide. This is just the basics, and as you can see, the game has a lot to offer, but don’t worry, there’s an auto pathing and battling function that makes the grind bearable. You can’t use it in dungeons though, you will have to work together with your team and perform your role at best if you want to clear them. As usual, if you have any tip or tricks to share, feel free to do so in the comments!